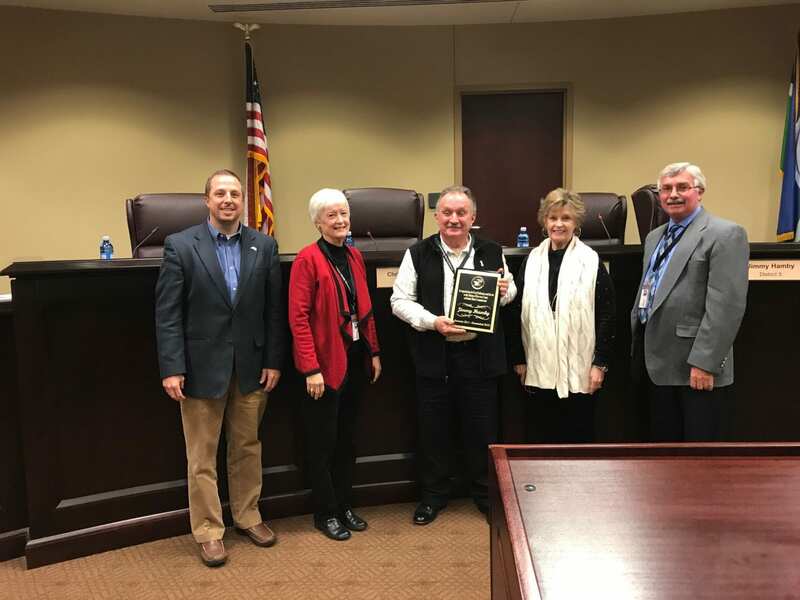 ATLANTA — The Georgia Department of Transportation (GDOT) will hold an open house on March 12 at Riverview Elementary School in Dawsonville to answer questions and gather feedback from citizens regarding a detour route necessitated by a planned double roundabout at the intersections of Hwy. 9 and Dawson Forest Road. 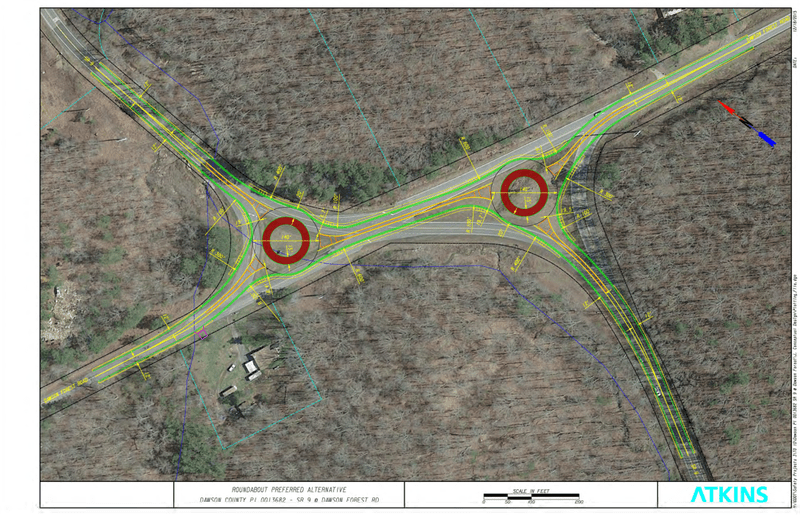 The project proposes replacing two existing intersections with two single-lane roundabouts. The open house is intended to provide the public with an opportunity to view the proposed detour, ask questions and comment on the project and detour. The open house will be held from 5-7 p.m. and the public can drop in any time. The roundabouts have been in the works since at least 2011, when GDOT asked county officials to support improvements at the busy intersection. 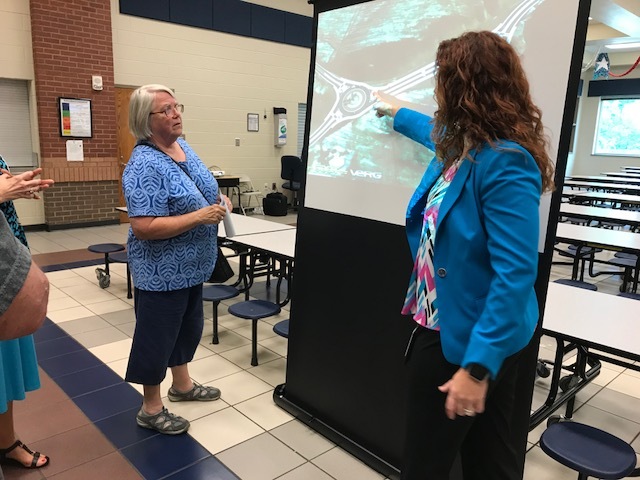 GDOT held an open house in May 2018 to show the plans for the intersection improvements to the public. Officials with GDOT stated that right of way will have to be acquired for the project, which is estimated to cost around $4 million. The double roundabout is estimated to open in the summer or fall of 2021 after 18 to 24 months of construction. GDOT is expected to award the contracts for the work in July, with a potential start date for construction later in the summer. The reason that two single-lane roundabouts are necessary at the crossroads is due to the existing structure of the two intersections, GDOT officials have said. The roundabouts will be constructed independently of each other since the existing intersections are offset from each other. Katie Strickland, District One communications officer with GDOT, said that once completed, the roundabouts will actually reduce conflict points and enhance safety. Between 2009 and 2014, there were 40 crashes, 30 injuries and no fatalities at the intersection, according to Strickland. “Converting this to the roundabout could result in reducing crashes by 45.6 percent, and that was part of the study that (GDOT) did,” she said. Strickland also said that the traffic capacity of the intersection will last for 20 years. The open house will be informal and the public is invited to attend at any time during the two-hour window. A court reporter will be available to allow the public an opportunity to make verbal comments about the project. Mr. Eric Duff, State Environmental Administrator, Georgia Department of Transportation, 600 West Peachtree Street, NW – 16th Floor, Atlanta, 30308. DAWSONVILLE, Ga. – Motorists planning to travel on State Route 52 toward Amicalola Falls should be aware that traffic will be directed by flagging operators starting Thursday ( Sept. 6). Construction partners with Georgia Department of Transportation will be closing lanes each day between 8:30 a.m. and 4:30 p.m. through Friday, September 14. This work will allow the replacement of a cross drain on SR 52 and is associated with the roundabout project at SR 52 at SR 183. This work will be done weather-permitting. The roundabout at SR 52 at SR 183 was awarded to Baldwin Paving Inc. in November of 2017 and has a scheduled completion date of May 31, 2020. 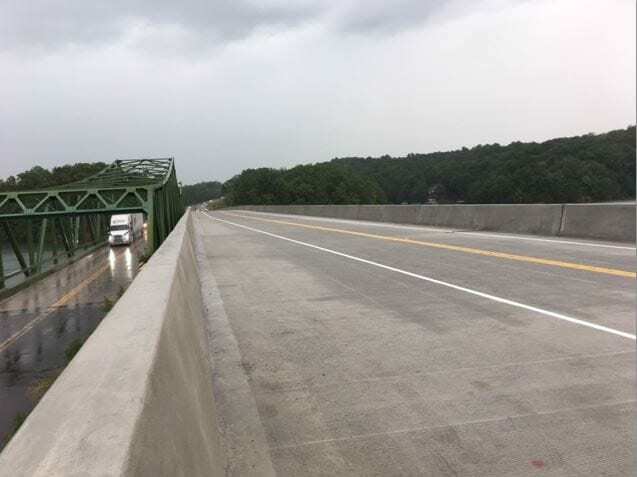 GAINESVILLE- The newly constructed State Route 53 bridge over Lake Lanier will be opened to traffic at 11 a.m Thursday (Aug. 2). Construction partners with Georgia Department of Transportation (GDOT) will shift traffic over to the new bridge and approaches and close access to the former lanes of the green truss bridge. DOT officials ask drivers to be alert as workers will be in the lanes and directing traffic. This shift could be postponed if rainy weather interferes. Opening the new bridge to traffic doesn’t mean work is complete. Final asphalt topping is still required along with additional grading to each side of the new approaches. The completion date for this project is March 2019, which includes time for the demolition of the former structure. 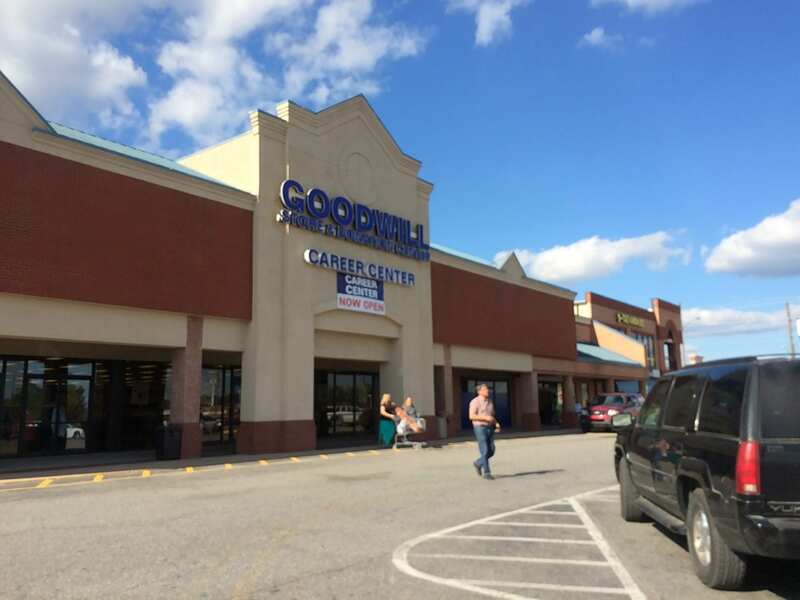 This project was awarded to Scott Bridge Company Inc. in March of 2016 and has a construction contract amount of $19.7 million. Georgia Department of Transportation Scott Bridge Co.
DAWSONVILLE, Ga. – Katie Strickland of the Georgia Department of Transportation (GDOT) says the intersection of Browns Bridge Road (SR 369) and Georgia 400 (SR 400) will be closed to traffic Monday, Tuesday and Wednesday to allow a resurfacing project to be completed quickly before the school year begins. The work will require traffic to be detoured from 9 a.m. until 4 p.m. A detour will be set up at SR 306 (Keiths Bridge Road) and SR 9, to direct drivers around the work zone. This detour pertains to SR 369 only. One lane of SR 400 northbound and southbound will be open to traffic. State Route 400 will not be closed. Eastbound traffic on SR 369 will be detoured by way of SR 306 (Keiths Bridge Road) to SR 9. Westbound traffic on SR 369 will turn on SR 9 and then SR 306 (Keiths Bridge Road). Crews plan to complete the resurfacing of the main intersection of SR 369 at SR 400 on Monday, then on Tuesday they will pave the inside lanes along SR 400. On Wednesday, they finish the job with the outside lanes. Tuesday and Wednesday’s work will require single lane closures on SR 400 from 9 a.m. to 4 p.m.
« Previous Article Runoff races bring heavy turnout in Dawson Co.
DAWSONVILLE, Ga. – Those who attended the Georgia Department of Transportation (GDOT) public information session at Riverview Elementary School Tuesday came away with a better understanding of the purpose of the proposed double roundabouts at the intersection of State Route 9 and Dawson Forest Road. GDOT officials were on hand to answer questions and listen to suggestions. They also handed out packets that contained a comment card so additional comments could submitted. Those who could not attend the meeting can still provide comments online until May 30 at www.dot.ga.gov/PS/Public/PublicOutreach. Additionally, questions can be directed to Heidi Schneider at HSchneider@dit,ga.gov or by calling 68-518-3677. GDOT officials say the purpose of the project is to enhance traffic operations and reduce crash frequency. It is based on a feasibility study that determined two, single-lane roundabouts are the most favorable intersection control alternative. The total length of the project is approximately six tenths of a mile. The two roundabouts will be constructed independent of each other. They would consist of 140-foot diameter, 20-foot circulating lane, a 15-foot wide truck apron and 70-foot diameter center island. Curb and gutter would be installed along the outside of the roundabouts with a mountable curb along the inside for the truck apron. The project is approximately one-quarter mile from Riverview Elementary and 700-feet from Dawson County Fire Station 7. Northeast District Communications Director Katie Strickland said the project will be let in July 2019 and is expected to take 18-24 months to complete. County Commissioners Julie Nix attended the meeting and said she enthusiastically supports the project. Fire Chief/EMA Director Danny Thompson said he supports the project but does have some concern about the congestion that could be created in front of the fire station in the morning when school buses and parents are dropping off students at Riverview and in the afternoon when they pick them up.